← Is Turkey immune from radical Salafism? Will Bombing Iran Help Arab States? 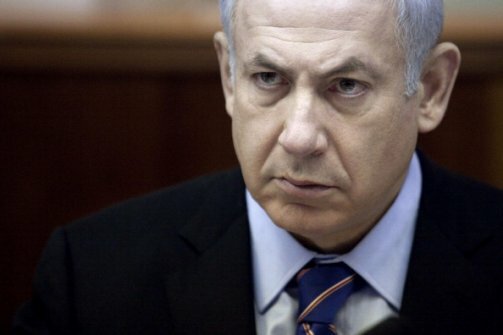 In an interview with the French magazine Paris Match, Israeli Prime Minister Netanyahu said, “A military strike on Iran and neutralizing its nuclear threat would benefit the Arab states in the Middle East and ease tension throughout the region.” To be fair, Netanyahu raised a valid point: a tense and ugly war already exists in the Middle East between political Shiism, represented by Iran, and reactionary Salafism, a school of Sunni Islam supported by some elements in Gulf Arab states. Therefore, weakening one side could stabilize the region. Many media reports also indicate that some Gulf States have been hawkish on Iran and would probably secretly welcome an Israeli strike. Does this mean that Netanyahu is correct and that a strike on Iran would ease tensions in our troubled region? I’m not so sure. The rivalry between Iran and many Arab states has centuries-old, sectarian roots that have nothing to do with the Islamic Republic’s nuclear ambitions. Gulf Arab states may initially enjoy watching the Iranian leadership’s defeat, but realities on the ground—particularly among their own restive Shia minorities—could give them a very rude awakening and turn their secret joy into public unease and even panic. A strike would inflame, not subdue, these existing tensions. Second, Israel’s repeatedly public threats to Iran have abolished any elements of surprise: the shock that followed the bombing of the Iraqi nuclear site in 1981 and Syria in 2007 have been replaced with a cautious anticipation. Iran’s ruling clerics are likely preparing for the day after; stabilizing the region is certainly not one of their plans. Nuclear capability is not the Islamic Republic’s only card; they have many others, including allies in Iraq and Syria, well-trained militias like Hezbollah in Lebanon, and even the Islamic Jihad group in Gaza. The Iranians could retaliate with relative ease. Fomenting instability is a relatively low-cost exercise, and funding terror campaigns would not be a huge obstacle to Iran’s leadership. True, the regime is weakened after years of sanctions, yet their support groups have the infrastructures, logistics, and weapons already in place. I doubt that these possibilities did not cross Netanyahu’s mind, but let’s face it, “the benefit of the Arab states” is probably priority Z on Netanyahu’s list while the bombing of Iran is his top target regardless of the outcome and impact on the Arab states. Israel’s paranoia about Iran’s nuclear capability is preventing its leadership from rationally assessing the situation in the Middle East, where the rise of radical Salafism is the real danger For many inside Israel, it does not matter: they would rather deal with one enemy at time. Such shortsightedness is dangerous and even reckless. In a post-Arab uprising era, when volatility, polarization, and fogginess are the main themes, it is dangerous to embark upon an uncalculated adventure that may or may not be rewarding. Israel is currently enjoying an unprecedented level of security despite the sporadic eruption of attacks from Gaza. Ayatollah Khamenei could end that by unleashing havoc throughout the region. This entry was posted in Iran, Israel, Uncategorized and tagged #Iran, Israel, middle-east, politics. Bookmark the permalink.